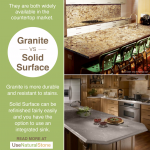 Compare and contrast features of the countertop surfaces available in today’s market. 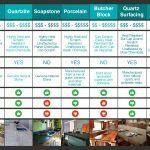 With so many possibilities to choose from, it’s hard to know which options you should consider. Think about your budget, your design taste and how your family will use your kitchen before making your decision. 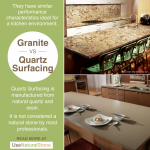 The chart below compares the main characteristics of the most popular countertop materials in the market today. 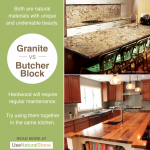 These include granite, marble, quartzite, soapstone, porcelain, butcher block, quartz, solid surface, and laminate. 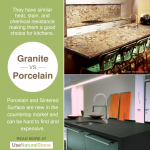 Price: Each surface material ranges in price, some being more dramatic than others. 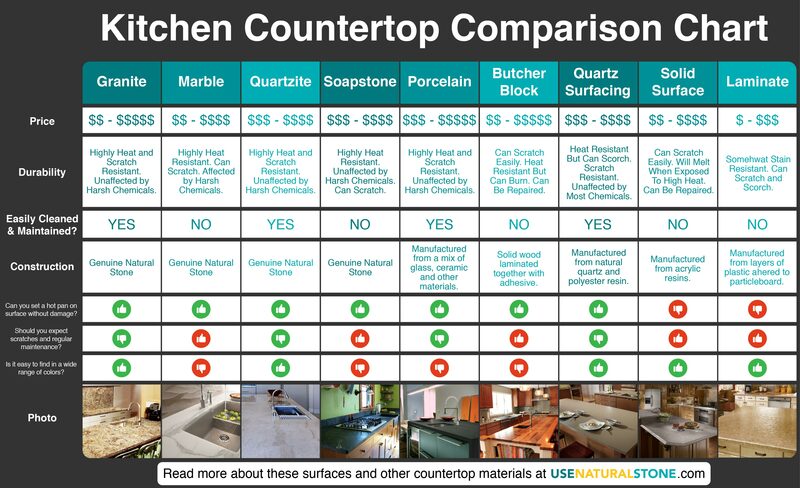 Read on to find out which countertops are the cheapest and which are the most expensive. 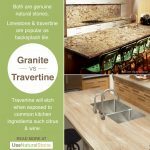 Durability: There are a few primary factors to consider when discussing the durability of a kitchen countertop: heat resistance, scratch resistance and chemical resistance. 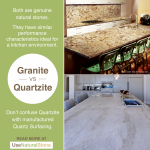 How a surface is affected by these factors will determine how long it is likely to look brand new without the need for extensive maintenance. Easily Cleaned and Maintained? 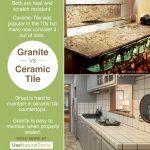 This is a simple yes or no question but a very good one to consider when selecting the right surface for your countertop. If you plan on cooking regularly in your kitchen, you will want something for which is easy to care. 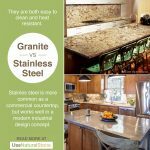 Some families use their kitchen as more of a gathering place than a work surface, in which case, the answer to this question might not be as important. 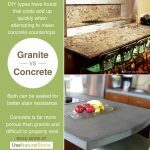 Construction: What is your countertop made of? Can you set a hot pan on the surface without damage? 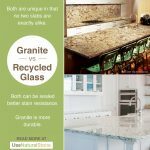 A green thumbs up means that yes, you can take your cookie sheet out of the oven and set in on your countertop without worrying about scorching or melting the surface. A red thumbs down means that you should always use a trivet or hot pad. Should you expect scratches and regular maintenance? 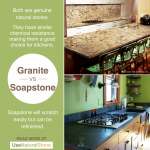 Softer countertop surfaces will inevitably get scratched from time to time. 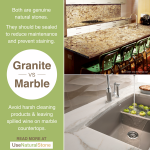 With some materials, regular maintenance can remove the scratches to keep your kitchen looking new. 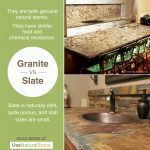 A green thumbs down means your countertop won’t easily scratch so you don’t need to worry about regular maintenance. A red thumbs up means you should expect some scratches over time. Is it easy to find in a wide range of colors? 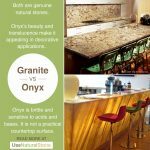 A green thumbs up means this countertop is available from numerous manufacturers/distributors in many colors and patterns. A red thumbs down means that the surface does not come in a wide variety of colors or has limited availability. 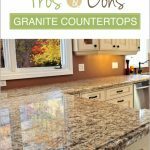 Color Variations: The collection of photos in the infographic above highlights common colors of each countertop material to give you an idea of what your kitchen might look like with this surface installed. 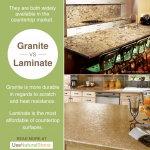 Please note that many variations exist within each countertop category.